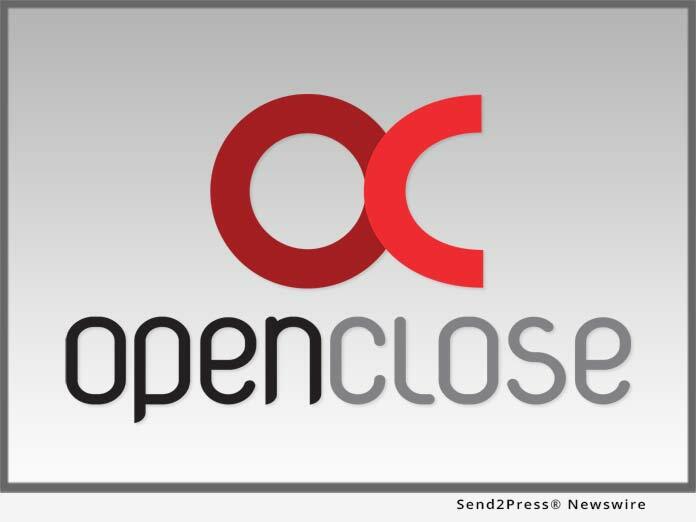 WEST PALM BEACH, Fla., Mar 22, 2019 (SEND2PRESS NEWSWIRE) -- OpenClose(R), an industry-leading multi-channel loan origination system (LOS) and mortgage fintech provider, announced that it is has scheduled a May release for the official rollout of its much anticipated digital mortgage point-of-sale (POS) solution, ConsumerAssist(tm) Digital POS. This new integrated solution is a unique offering that combines a proven and mature 100 percent browser-based end-to-end LOS and PPE with new state-of-the-art dynamic digital mortgage POS technology. As a single source vendor for digital POS, LOS, PPE and Business Intelligence, OpenClose is able to slash the loan manufacturing cost and complexity by eliminating the need to cobble together disparate systems with different SLAs, contracts and pricing models. The self-service POS capabilities that ConsumerAssist Digital POS provides are state-of-the-art and feature rich. Lenders can now automate and organize numerous tasks that would normally be performed in the back-office via the LOS, and push them closer to borrowers earlier in the origination process. As a result, workflow efficiencies increase, the lending process is sped up, costs are reduced and new business is captured at a higher rate and lower cost. "We feel that lenders leveraging the efficiencies of a single consolidated platform will be able to most effectively sustain and increase profitability in an environment with more competition for fewer loans and tighter margins," says JP Kelly, president of OpenClose. Jason Regalbuto, CEO / CTO of OpenClose, adds: "Borrowers today and in the future are expecting streamlined experiences with extreme ease of use and automation like Amazon and Uber offer. Mortgage origination and lending involve very complex processes. We think with ConsumerAssist Digital POS, we have significantly reimagined these processes and workflows for the future and the expectations that borrowers have. We've effectively closed the loop between POS and LOS." * Ability to access the system on any mobile device or tablet. OpenClose is incorporating into ConsumerAssist Digital POS their DecisionAssist(tm) product and pricing engine, automated underwriting capability, fee calculation engine and more. OpenClose also offers ConsumerAssist(tm) Web which helps establish a consumer direct lending channel by developing websites that engage borrowers with tools to perform much of the application and loan qualification process themselves without involving a salesperson. ConsumerAssist Web can be combined with ConsumerAssist Digital POS, together dubbed ConsumerAssist(tm) Enterprise, to offer comprehensive self-service technology that manages the bulk of the origination process for lenders. OpenClose recently announced the availability of a robust RESTful API Suite that the company developed to enable quick system-to-system integrations, seamless data exchange and execution of transactions. In addition to making integrations easier to complete, it further lowers lender costs, which is a key focus of OpenClose as their customers operate in a margin compressed business climate. The company will be exhibiting in booth 800 at the MBA's Technology Solutions Conference & Expo 2019 from March 24 - 27 in Dallas at the Hyatt Regency. To learn more, visit the booth or contact the company to arrange a meeting time: sales@openclose.com. Founded in 1999 and headquartered in West Palm Beach, Florida, OpenClose(R) is a leading enterprise-class, multi-channel loan origination system (LOS), POS digital mortgage and fintech provider that cost effectively delivers its digital platform on a software-as-a-service (SaaS) basis. The company provides a variety of innovative, 100 percent web-based solutions for lenders, banks, credit unions, and conduit aggregators. OpenClose's core solution, LenderAssist(tm), is comprehensive loan origination software that is completely engineered by OpenClose using the same code base from the ground up. The company offers a RESTful API suite that standardizes system-to-system integrations, making them easier to develop, quicker to implement and more cost effective. OpenClose provides lending organizations with full control of their data and creates a truly seamless workflow for complete automation and compliance adherence. For more information, visit https://www.openclose.com/ or call (561) 655-6418.
Business, Digital Mortgage, digital mortgage point-of-sale, Finance, FinTech, Florida Business, Mortgage, OpenClose, Profundity PR, RESTFUL API, Software, Technology, West Palm Beach Business, WEST PALM BEACH, Fla.